The documents add to the other archives of the LLRC indexed on this site. See here and here. 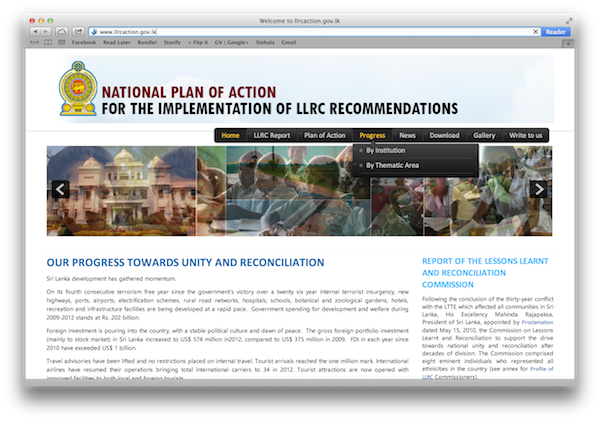 The Lessons Learnt and Reconciliation Commission (LLRC) National Action Plan (NAP) implementation website was launched on 5 July 2013. 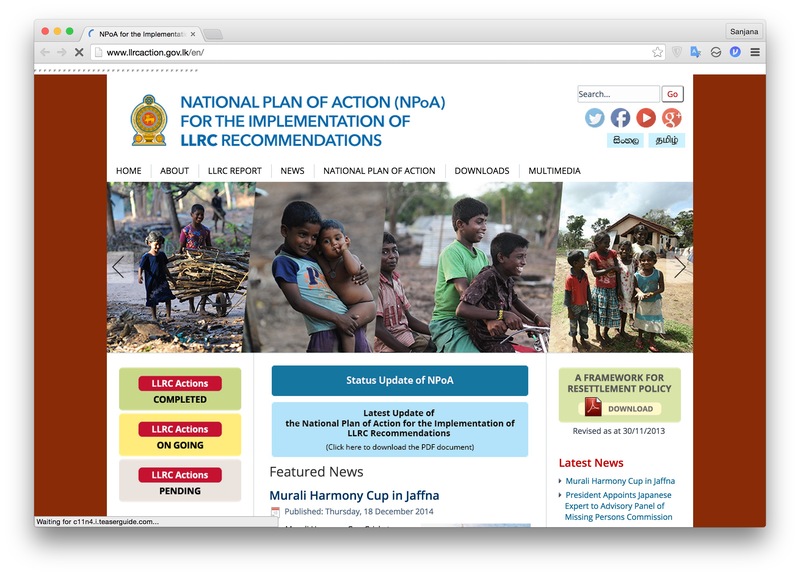 No sooner than it was launched, the first snapshot of the site was taken.